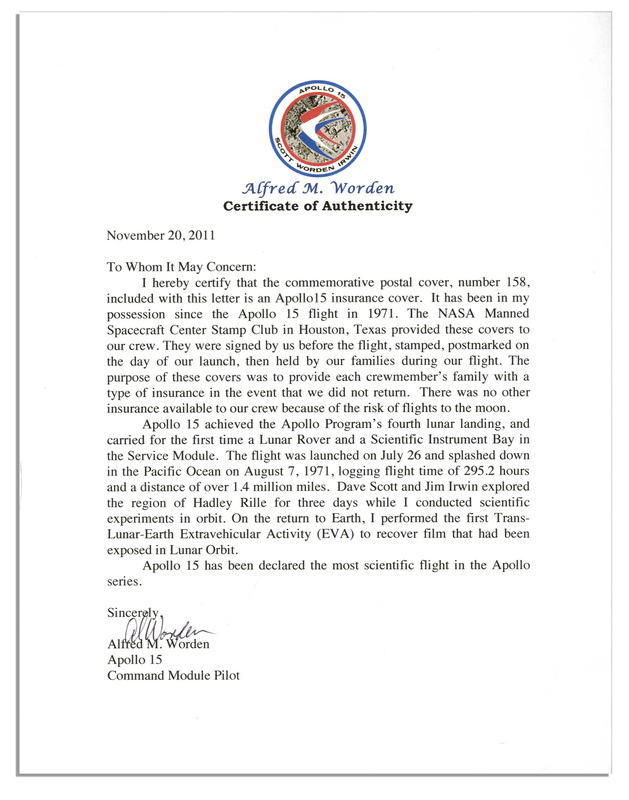 Apollo 15 crew-signed astronaut insurance cover, issued by NASA, and from Al Worden's personal collection. 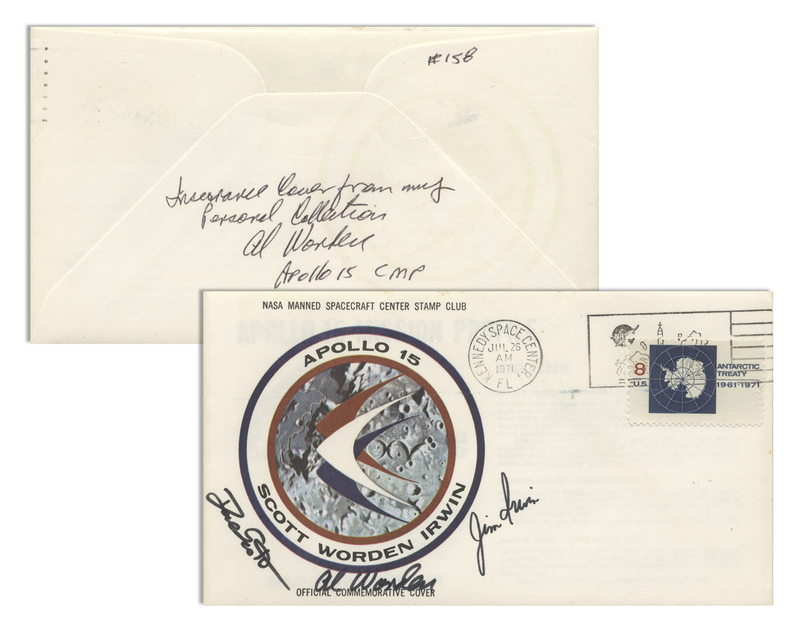 Cover is signed on front by Al Worden, Dave Scott and Jim Irwin, and then additionally signed and numbered on the verso by Worden: ''Insurance Cover from my Personal Collection / Al Worden / Apollo 15 CMP [Command Module Pilot]''. Cancelled on 26 July 1971 from Kennedy Space Center, cover includes an insert entitled ''Apollo 15 Mission Profile''. 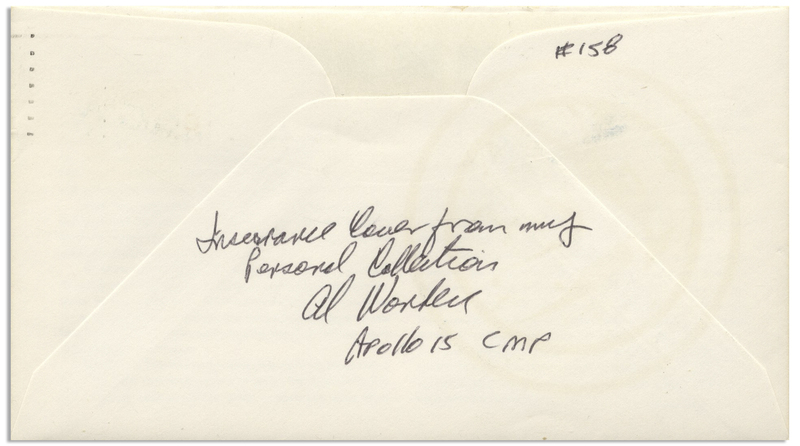 Measures 6.5'' x 3.75''. Light wear, overall near fine condition. 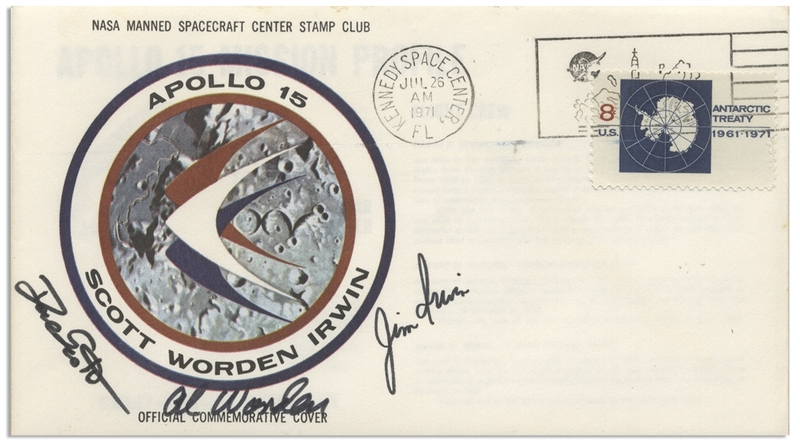 With an additional COA signed by Al Worden, numbered 158 which matches the cover.